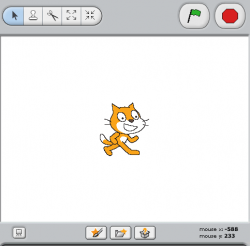 Scratch is designed to help young people (ages 8 and up) develop 21st century learning skills. As they create and share Scratch projects, young people learn important mathematical and computational ideas, while also learning to think creatively, reason systematically, and work collaboratively. Scratch: overview from andresmh on Vimeo. Scratch in 30 seconds from andresmh on Vimeo.